An amazing 6 days was spent on our Grand Canyon vacation. 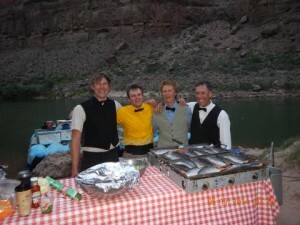 Our 4 Western River guides were the best, extremely skilled in every aspect of the trip. The food was outstanding, the scenery awesome, the rapids thrilling, the group THE BEST!!!! Western Rivers provided us with all the info we needed to have a successful adventure.